Static Control was honored at the recent Recycler Award event held during this year's Paperworld tradeshow in Frankfurt, Germany. Static Control received the coveted Customer Service of the Year award, the second time the company has received this honor. "We're absolutely delighted," explained Static Control's CEO Ken Lalley, who accepted the award for the company. "It's a reflection of our commitment to our customers. We're thrilled - thank you to our customers, and all who voted for us!" Static Control has won a Recycler Award annually since the ceremony started in 2015. Previous accolades include two "Supplier of the Year" awards and an "Innovation of the Year" honor. Lalley added, "Without the continued support of the remanufacturing industry, we wouldn't have been nominated. We will continue our deep commitment to working hard and maintaining the highest level of service our customers deserve." The award was the zenith for the company during a successful Paperworld show. Static Control played host to a consistently packed stand, with many face-to-face meetings between customers and sales team members. Static Control's General Sales Manager Paul Needham presented information at the show about the decaBDE issue rippling through the industry. 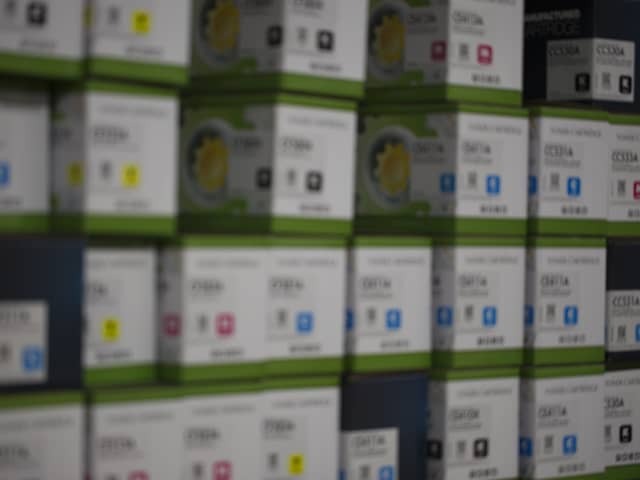 "The issue is widespread, and it impacts compatible and remanufactured cartridges, along with components. As an industry, we must work together to hold plastic suppliers to the standards that have been set forth in environmental regulations." Static Control’s European cartridge and component offering comply with RoHS and REACH standards. Needham looks forward to next year's event. "For us, it is a great opportunity to meet with a lot of our European partners," he said. "It's an important time in our industry, and it's a great opportunity to discuss the many changes along with the growth opportunities, with our customers." Static Now Подставляем надежное плечо - компания Static Control сотрудничает с BackPack Pals 28 августа 2017 г. Пресс-релиз Компания UAB Daily Print стала авторизованным дилером Static Control в странах Балтии 30 окт. 2018 г. Новости с места событий Компания HP объявляет о выпуске принтеров серии LaserJet 600 с технологией JetIntelligence 16 мая 2017 г.
ХОТИТЕ ВЫБРАТЬ БОЛЕЕ НАДЕЖНЫЙ СМЕННЫЙ КАРТРИДЖ? © Static Control Components, Inc. Все права защищены повсеместно. Мы используем файлы cookie, чтобы вам было удобнее пользоваться этим сайтом. Если вы согласитесь на использование нами файлов cookie, вы сможете пользоваться всеми функциями и улучшениями сайта.